John M. Eyler. 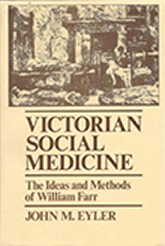 Victorian Social Medicine: The Ideas and Methods of William Farr. Johns Hopkins University Press, 1979.